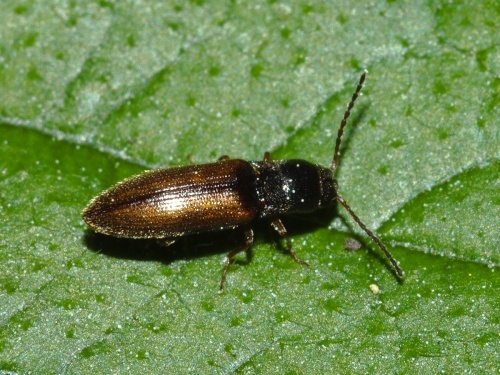 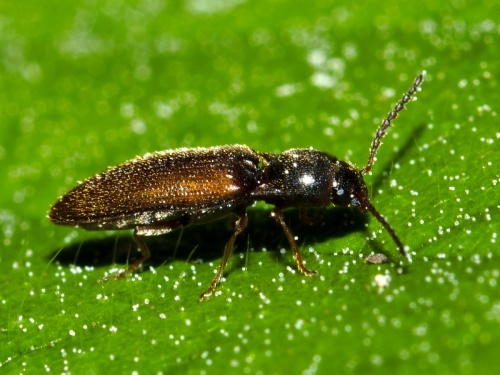 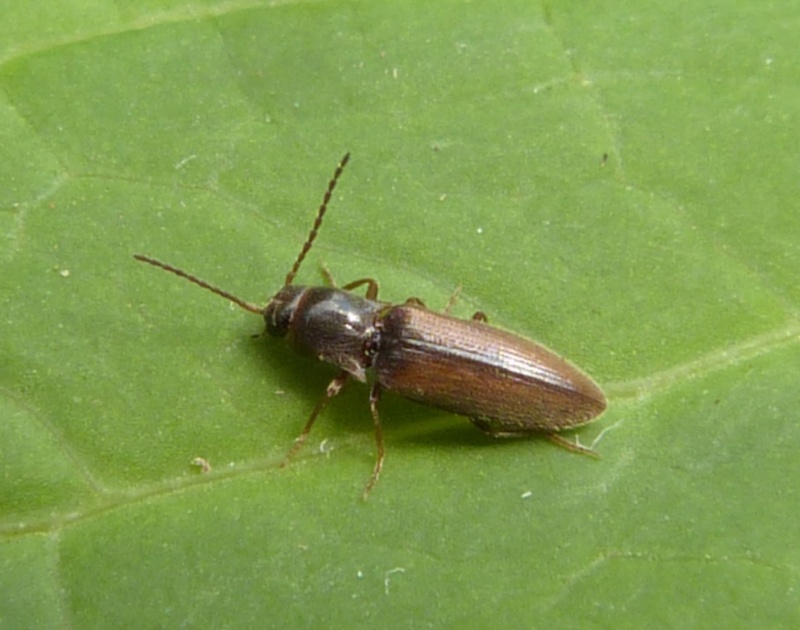 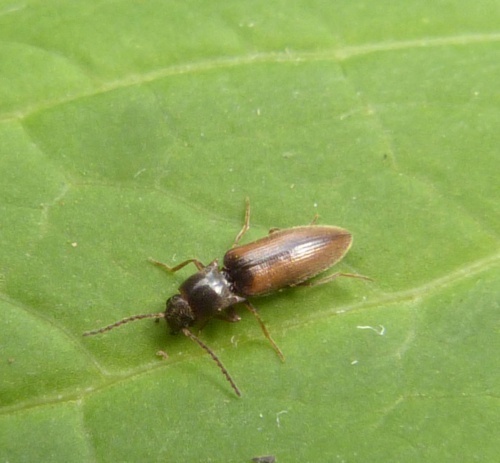 This 'click beetle' is about 3.5 to 5 mm in length. It has ribbed brown hairy elytra, often with a darker mid-line, plus a black head and thorax. 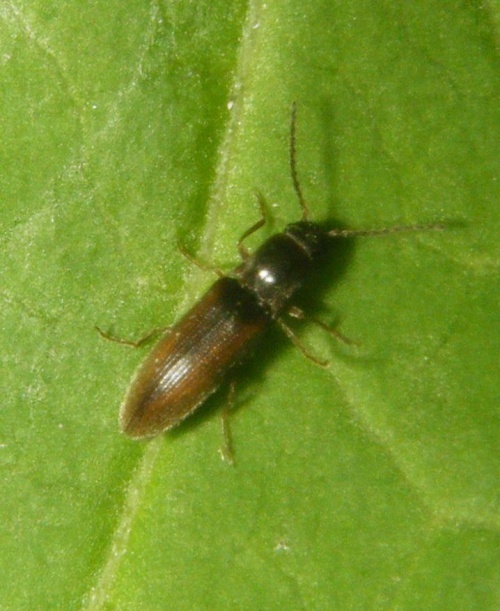 Fairly widespread in England and Wales with fewer records from Scotland. Fairly common in Leicestershire and Rutland. 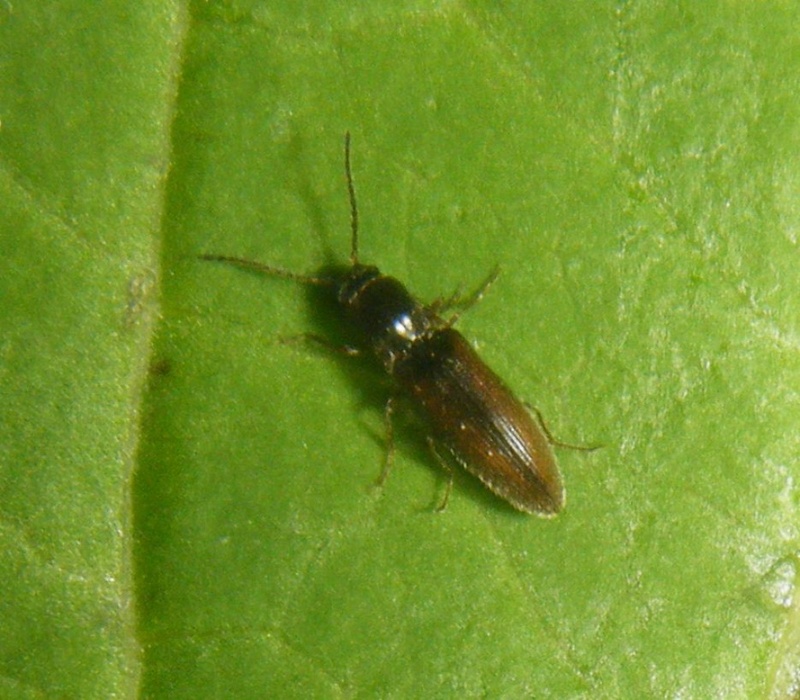 There were a total of 107 VC55 records for this species up to March 2015.